February/ March is the time when I can start to plant seeds in the green house (or in my case the conservatory) where they will still be protected incase there’s a frost! 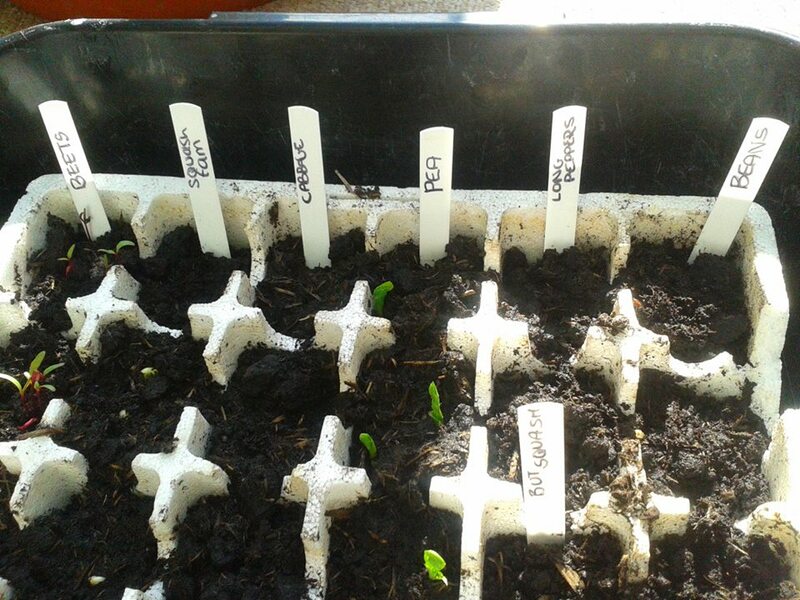 Here are some of my seeds so far this is about 1-2 weeks after planting. I’m starting off my Beetroot seeds indoors this time because despite my best efforts the slugs and snails munched the new leaves away so quickly last year they just didn’t grow! The ‘Squash family’ did really well last year so I’ve got courgettes, pumpkin and butternut seeds in. This years greens are Cabbage, broccoli, peas, runner beans and salad leaves. Two variety’s of tomatoes (large ‘Beef’ tomatoes and small sweet money-maker cherry tomatoes) in a home-made propagator. – Which consists of a deep plastic ‘cake box’ and cling film over the top. I started to prep the garden as soon as there was a hint of sunshine by cutting away dead brown plants, checking to see if my strawberry plants had survived, weeding my veg patch and fertilising the soil ready for this year. I planted Radishes, Parsnips and leeks in the veg patch, and potatoes and carrots in some sturdy green grow bags I bought from pound land. 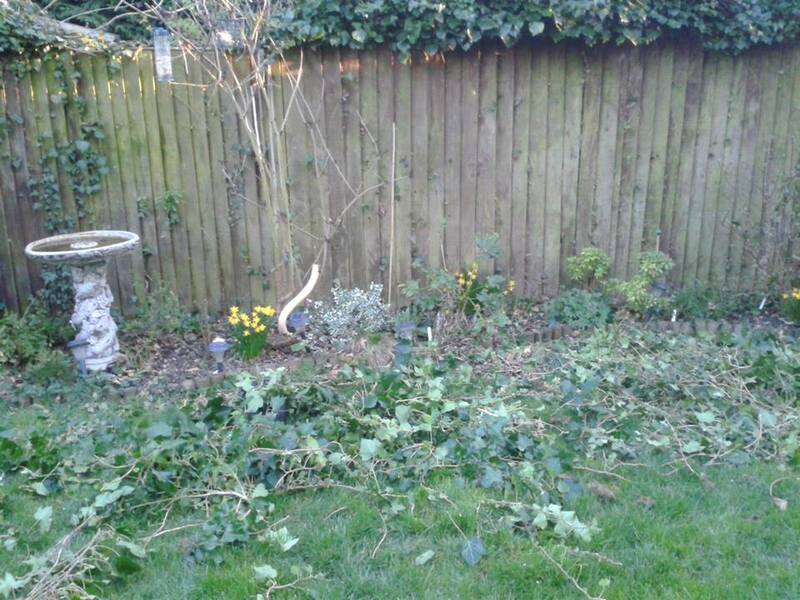 I also declared war on the Ivy growing in, around and through my fence! I realise now that it would have made more sense to have taken before and after photos 😀 but you can imagine from how much Ivy is on the grass, just how covered the fence was!